Quinnipiac’s Paul Stevenson gets into position in Sunday’s scrimmage. Quinnipiac’s Brandon Kuring sets up an offensive zone play. Quinnipiac’s Basil Kostaras aggressively breaks into the attacking zone. Quinnipiac’s Dylan Webster getting into position. 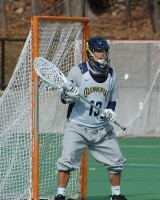 Quinnipiac’s Evan Weldon playing defense. Quinnipiac’s Chris Coppolecchia looks on from the his own defensive zone. 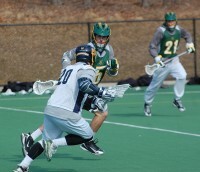 Quinnipiac’s Jay Binkowski in a foot race with Vermont defenders. Quinnipiac’s Dylan Webster rushes into position. 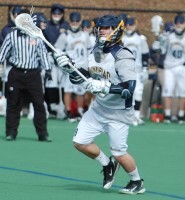 Quinnipiac’s Chris Coppolecchia on defense. Quinnipiac’s Goaltender, Dylan Torey, shouts out to defensive players. Quinnipiac’s Brendan Wilbur makes a running catch to continue the play. Quinnipiac’s Jay Binkowski readies to fire on net. 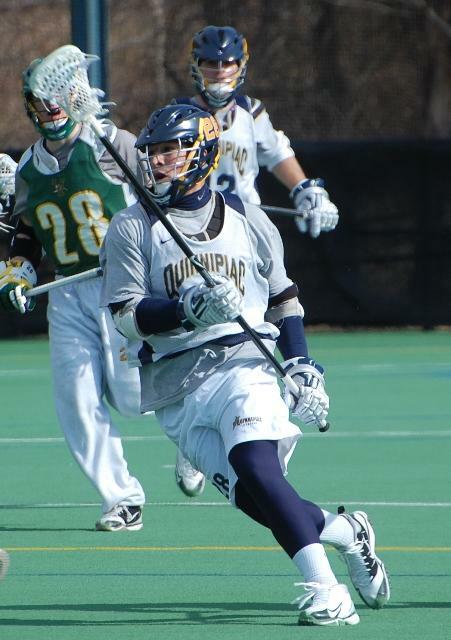 Quinnipiac’s Dylan Webster commands field position. 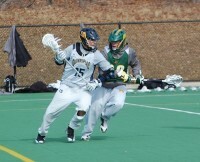 Quinnipiac’s Leo Horine marches down into the attack zone with the ball.